Legislation approved by the New Jersey Legislature on June 25, 2012 and expected to be signed by Governor Christie has removed what had been a major obstacle to the widespread installation of solar energy facilities by municipalities, school districts and other public entities. 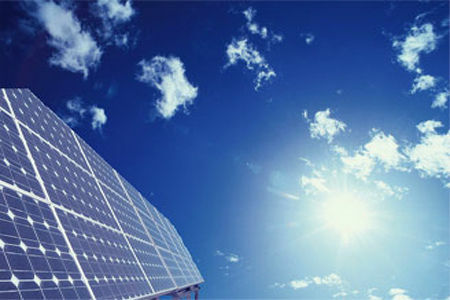 Until now, if a public entity wanted to install a solar project on a building or property that it owned, that energy could be used on that property or adjacent property only, unless the public entity engaged in a lengthy and cost-prohibitive interconnection process and sold the energy back to the grid at wholesale rates. In practical terms, the solar energy generated by such a facility could not be sent to the local distribution system and then used to offset the public entity’s overall electric bill for all of its facilities. The new legislation, known by its Senate Bill No. S1925, eliminates this obstacle by allowing “net metering aggregation” for public entities that operate a solar facility on one of their facilities, or on property they own. As a result, the excess energy that is not used on property housing a solar facility can be used to offset the public entity’s overall electric bill at its other facilities, without the major expense, delays and limitations on rates that previously made such an arrangement undesirable. Senate Bill 1925 sets forth several conditions and limitations on this net metering aggregation option, and its implementation must await the adoption of regulations by the Board of Public Utilities. Nevertheless, this legislation makes it more attractive, for example, for a school district to consider a larger solar facility at one school with the excess power offsetting a district’s overall electric bill. A municipality can now consider a solar facility on municipal property, such as a closed former landfill, even though there are no municipal facilities on or adjacent to that property, and thereby lower its overall electric bill. Senate Bill 1925 addresses many other issues that we will discuss in other posts, including new incentives for solar facilities on brownfield sites and measures to stabilize SREC prices. For more information on how this legislation may impact your evaluation of solar energy issues and options, please contact me or your Scarinci Hollenbeck attorney.